You can't change your fate - so throw yourself into battle, because you'll either win or wake up drinking mead in the halls of your ancestors. That's what Finn's tribe believe. 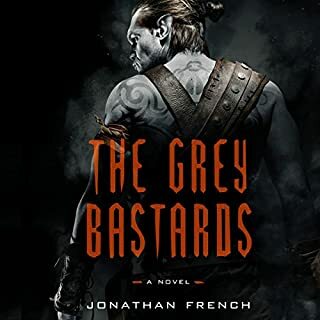 But when their settlement is massacred by a hostile tribe and Finn and several friends, companions, and rivals make their escape across a brutal, unfamiliar landscape, Finn will fight harder than he's ever fought in his life. He wants to live - even if he lives only long enough to tell Thyri Treelegs how he feels about her. 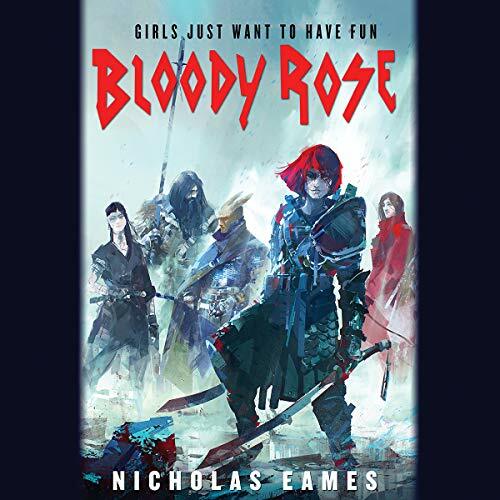 A stand-alone epic fantasy adventure featuring a band of legendary mercenaries set in the world of Kings of the Wyld from author Nicholas Eames, who has been hailed as "the voice of modern fantasy" by Michael R. Fletcher. For more from Nicholas Eames, check out Kings of the Wyld. loved it, characters were easy to invest myself in, and I happy to see a sequel that more than lived up to its predecessor. I love the series. It's a pretty cool coming of age story about a young bard joining a famous band. The imagery is excellent, the characters are colorful. As much as I appreciate the narrator though, it does take a moment of getting used to. she portrays the characters very well, but lets be honest. Clay Cooper is a pretty deep voice to emulate. overall, she made the performance her own and brought the story to life. If you came into this book looking for more of Kings of the Wyld you will probably be disappointed. This is young adult fantasy fiction so if that's not your thing, you should probably save your credit. I was on a 26 hour drive so figured YA or not, I'd give it a go; I was pretty disappointed. 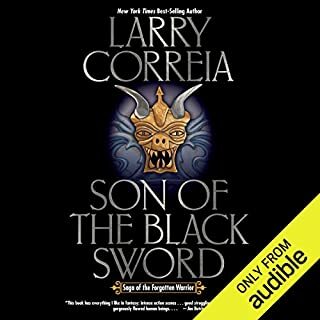 Plot was very predictable, characters were flimsy and the book just didn't have the "fun factor" that Kings of the Wyld had. The story is extremely predictable, the foreshadowing is about as subtle as a brick to the head. The characters except the shaman are barely fleshed out and the reader doesn't even get a chance to care about them. Midway through to book you will be able to see the ending coming with little deductions. If your came from KOTW and you want to see what Gabe and Saga got up to you'll find some tidbits, but it's twice bitter and once sweet. I really wanted to enjoy this book and came into it excited. I found myself in a constant state of cringing and disappointment. Maybe you will find it different, if you have the extra credits give it a shot and let me know. Before I start out with anything else, this is not a sequel to Kings of the Wyld. 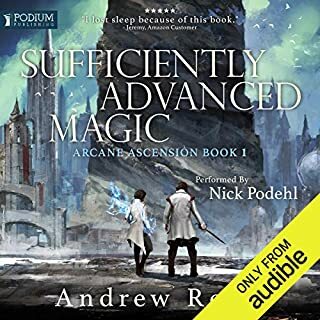 While the story does happen in the same universe and does take place a little while after Kings of the Wyld, this book only mentions the characters in how they relate to the main cast of this book. I loved Kings of the Wyld. I loved the sarcastic comedic aspects of the book while still maintaining a certain degree of seriousness. They had a goal. They knew what the general idea was. How they were going to pull it off was the story. In Bloody Rose, I feel that their is almost no comedic value happening. It tries to add in the occasional quip or joke to lighten the mood, but it never strays far from the fact that Bloody Rose, Golden Gabe's daughter, is suicidal in everything she does. I have gotten nearly 5 hours into the book (so over 25%) and have had to stop. All we as the readers know is that Bloody Rose and her band are off to do a quest. The goal of their journey is vague as hell and so does not draw me in. It does not help that I have trouble agreeing with life choices such as both Bloody Rose and her baby daddy decide to leave their child in the care of Golden Gabe and go off adventuring instead of taking care of their responsibility. I understand the idea of doing what you love for a living, but they brought a child into the world and she/he (don't think it actually says) is only really mentioned in passing. It got to the point, and I know this is bad, but I started rooting for the monsters or enemies they faced hoping they would kill off a few of the party members of the Main Cast. I am generally of the mindset that if you do not have something nice to say, then do not say it, but I could not contain my thoughts on this book. So I apologize. No a sequel - not really. I sorely missed the sarcastic humor I enjoyed so much in Kings of the Wylde. 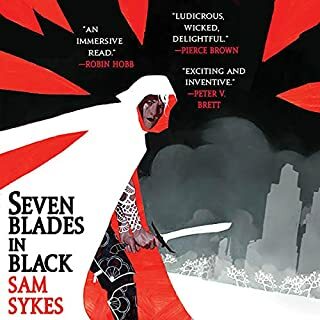 With strong lesbian overtones, a voice that made tough characters sound like 10 year olds and a battle scene that went on for way too many chapters, I was disappointed in this book. I got 9 chapters in and couldn't take it anymore. If I have to listen to one more question being answered by an obvious response, I'm going to snap my phone in half. The MC of Kings of the Wyld was old, tiered, and world weary. This gave it a more cynical tone. Bloody Rose is narrated by a new character, Tam. She is young, energetic, and only getting started. 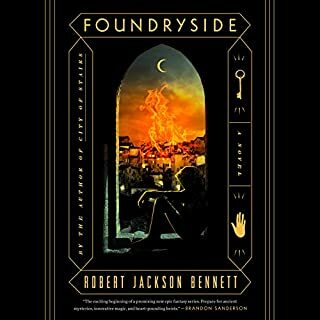 This makes for an interesting perspective that contrast with the first book. 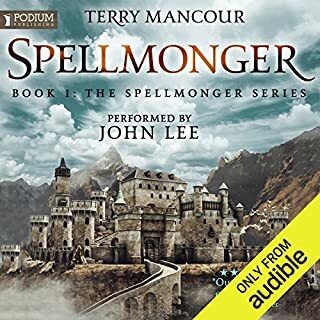 I liked this story, the characters, and its connections to Kings of the Wyld. I like the strongly written female characters (MC included).